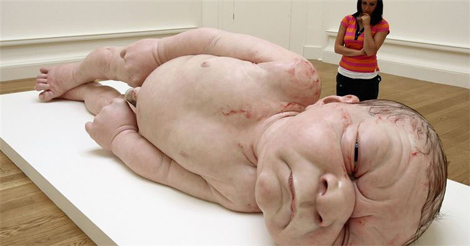 See Here: They put the baby in a laundry basket in the tub. The reason? Brilliant. 2. 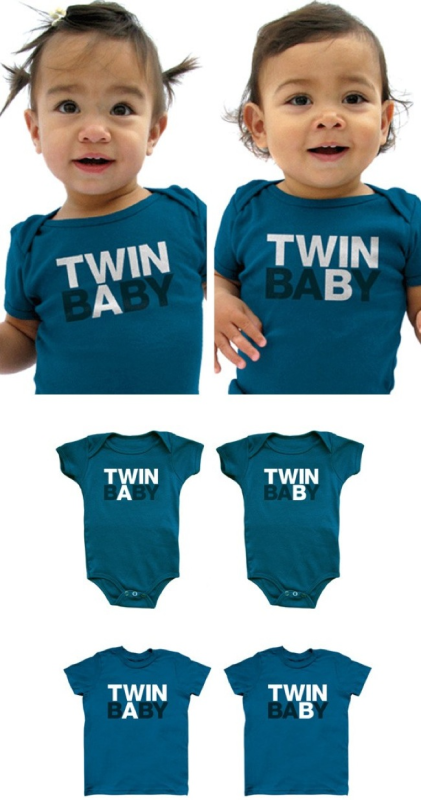 Parents of twins know the problem. Who is who? The solution is extremely funny. 3. 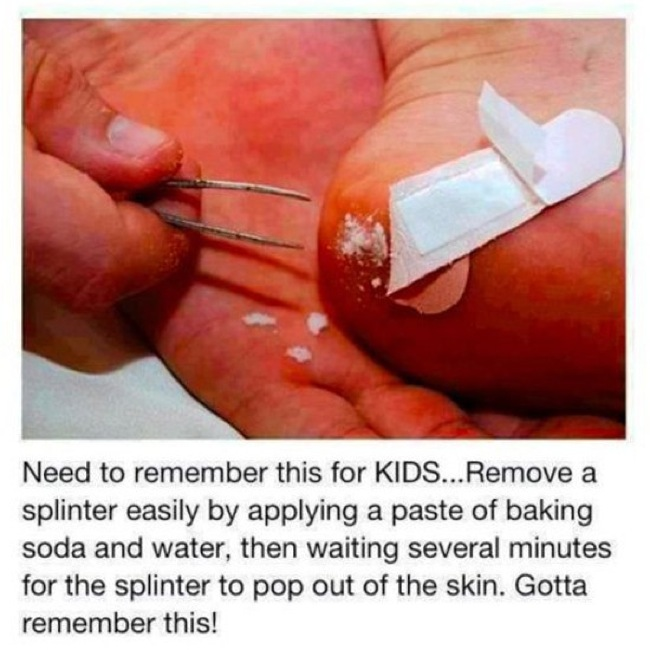 Splinters can be helped by some baking soda. It helps to drive the splinter back out. 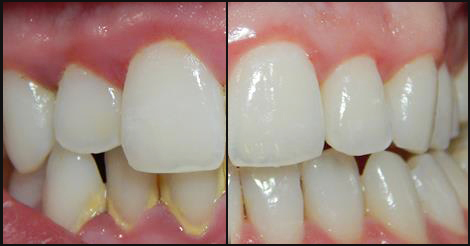 4, Baking soda is also great for removing stains. 5. For smaller misfortunes extra long maxi pads are perfect. If your kid is having problems getting to the toilet, but is too old for diapers, they are the perfect solution. 6. 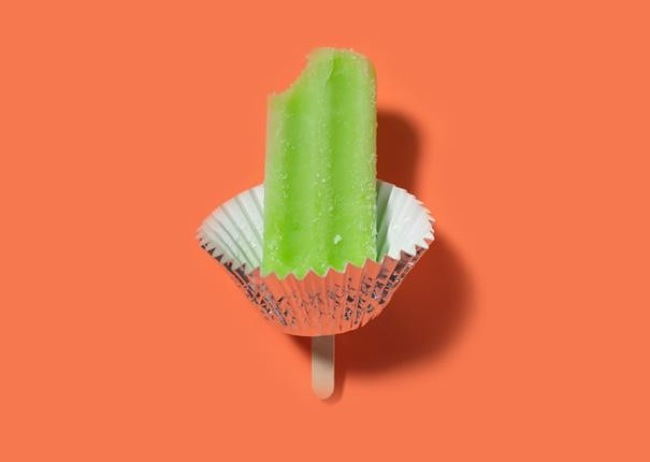 A cupcake form keeps your popsicle from dripping everywhere and making things sticky. So that you don’t attract bees! 7. Sometimes it’s not easy making sure the kids are dressed warmly. 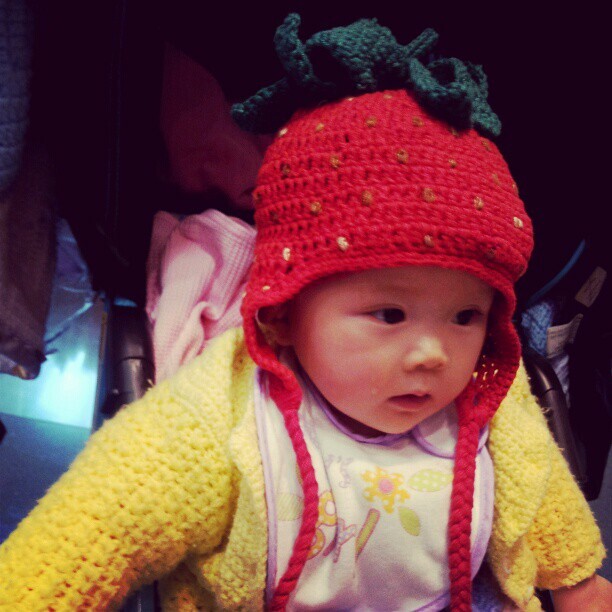 But that’s no problem when you give them this strawberry. 8. 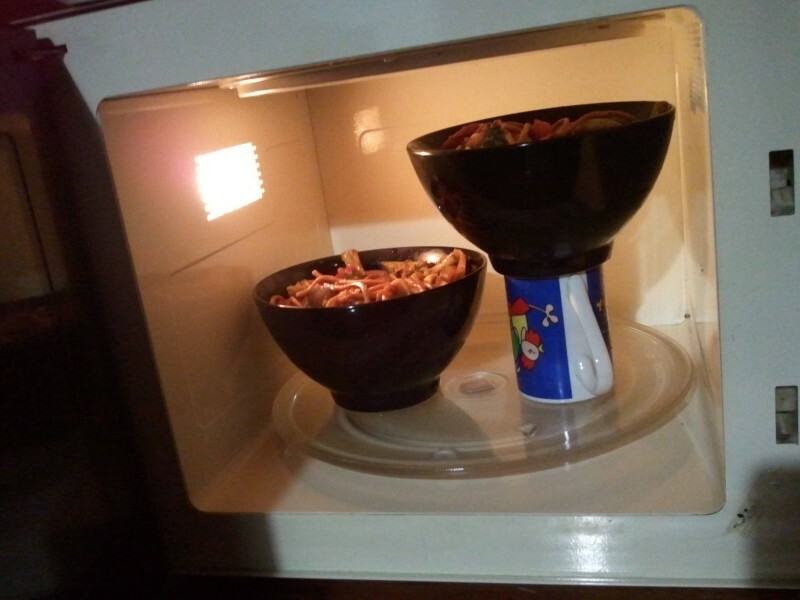 And even better: ensure full stomachs by putting more than 1 dish in the microwave. 9. With these forget-me-not mittens, you’ll never have to worry about losing your kid in a crowd. 10. 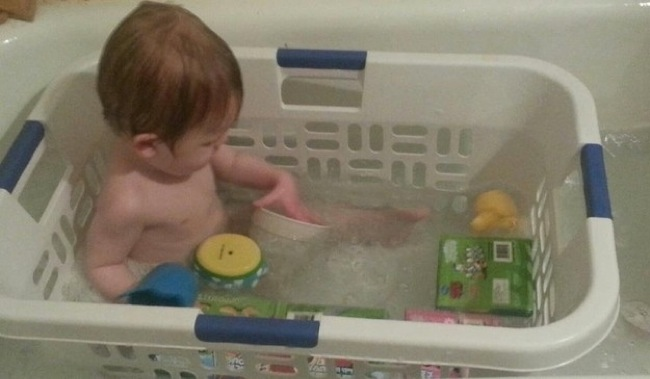 Use a laundry basket in the tub to keep all the toys within reach. 11. 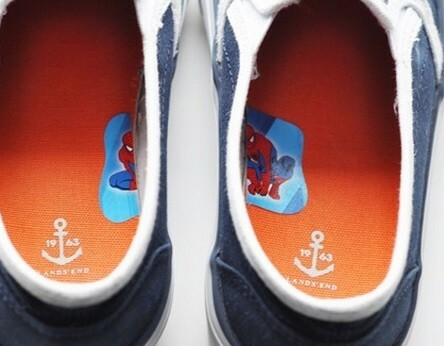 To help them put their shoes on right, you can cut a sticker in half and put them on the inside of the shoe. 12. You can avoid a sticky mess by sticking a twisted straw into the top from below. Then they can’t pull it out so easily! 13. 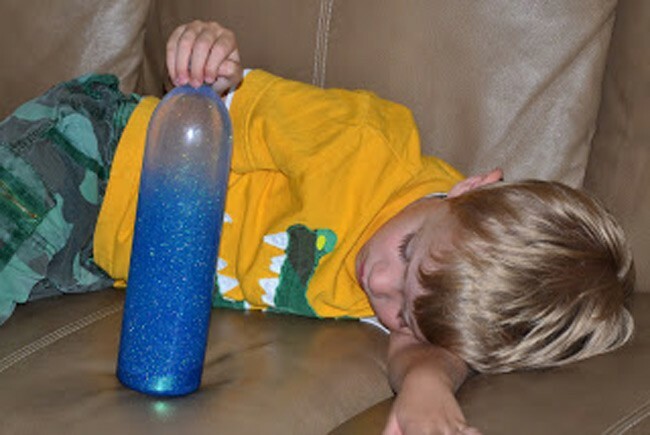 This is how you can make a functioning timeout time: fill a bottle with water and add a small container of glitter glue and some extra fine glitter. Then shake the bottle and when the glitter settles, the timeout is over. 14. 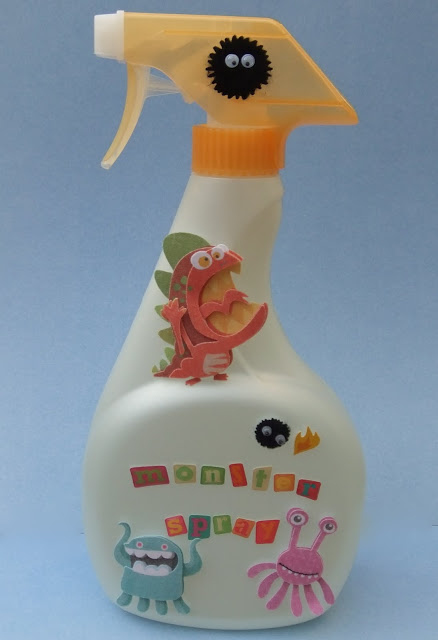 Help them reach the faucet by using a bottle of shampoo. 15. This little sign of courtesy is very helpful at deflecting the ire of fellow passengers on a long flight. 16. 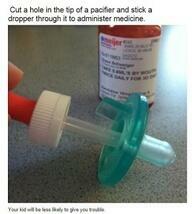 Make a hole in a pacifier and stick a pipette inside. Then the medicine is not so horrifying for the little guy. 17. 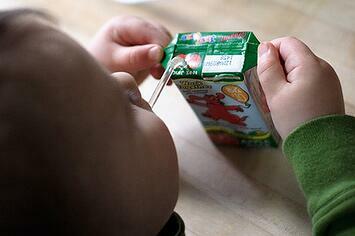 Teach your children to hold juice boxes on the side. 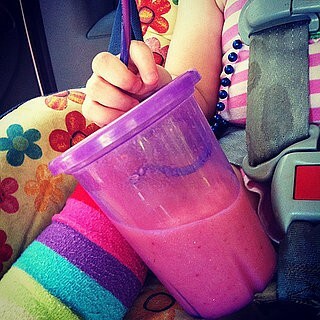 That’ll keep them from squeezing them and spilling them. 18. 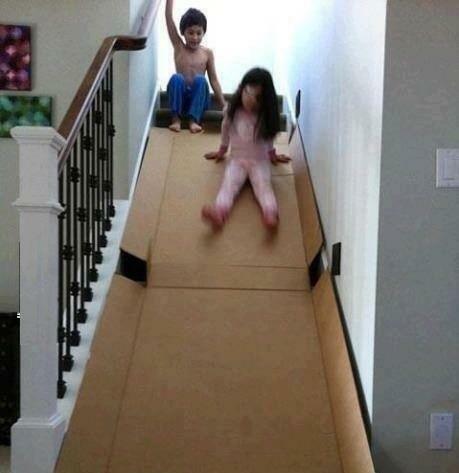 When you do it right you can turn a huge cardboard box into a functional slide for the stairs. 19. Help them learn to write by putting a kleenex in their hand. Then they’ll learn the grip better! 20. 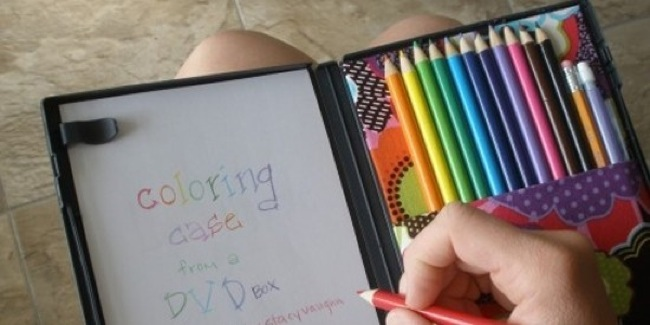 A DVD box is perfect for a portable coloring box. Keeps things neat and orderly! 21. 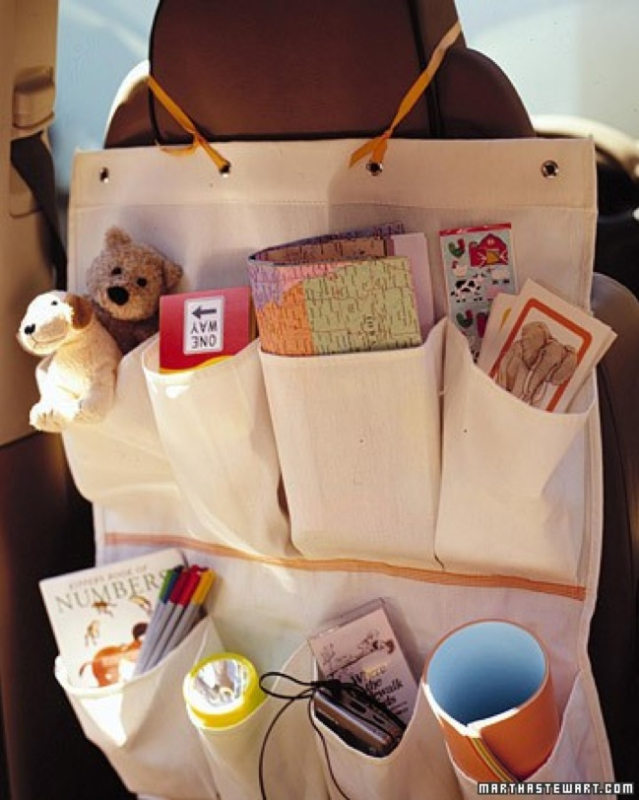 This is a brilliant idea for long trips. Piles of entertainment always handy. 22. 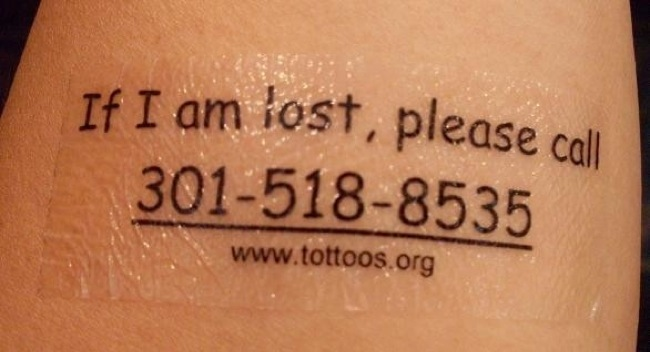 A little sticker tattoo has all the contact information of the parents if the guy gets lost. Hopefully not necessary though! 23. 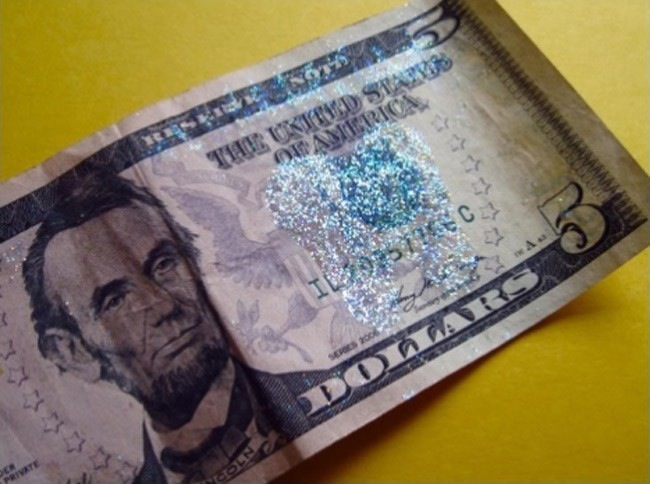 Put some glitter on a dollar bill and make the tooth fairy REALLY magical. 24. 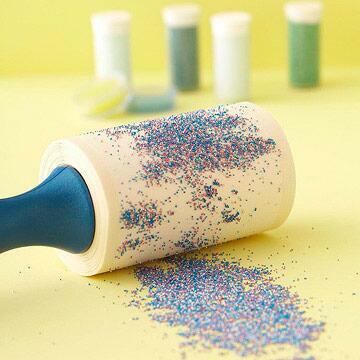 A lint roller removes glitter (and almost anything else) almost magically. 25. 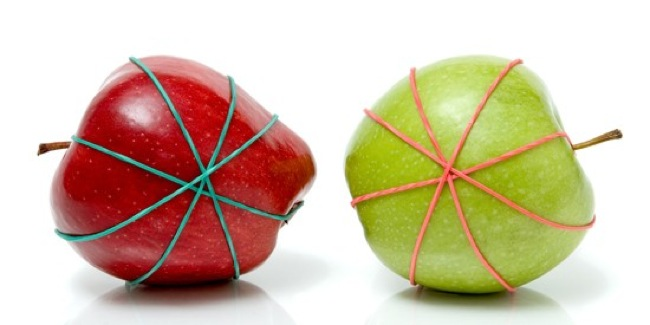 Rubber bands hold sliced apples together so they don’t brown so fast. 26. What to do with the crib? Keep it! 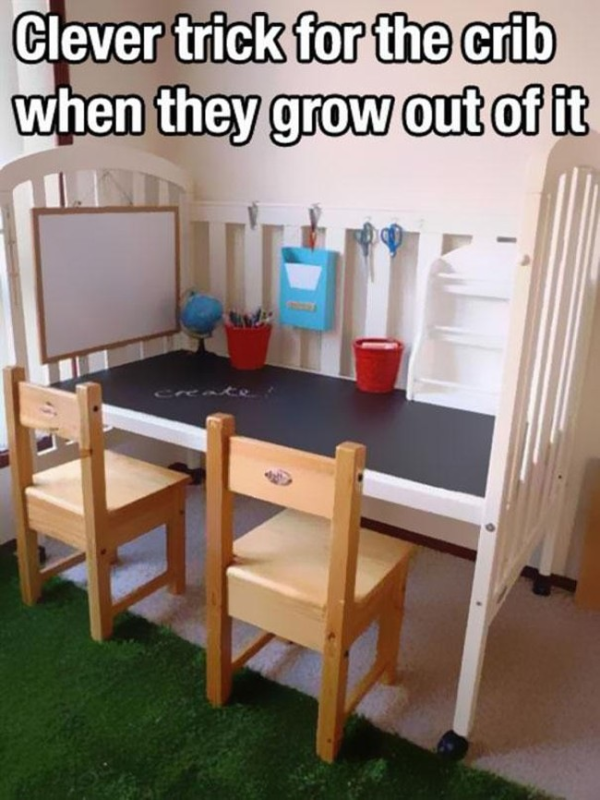 And turn it into a super cool desk. Awesome! 27. 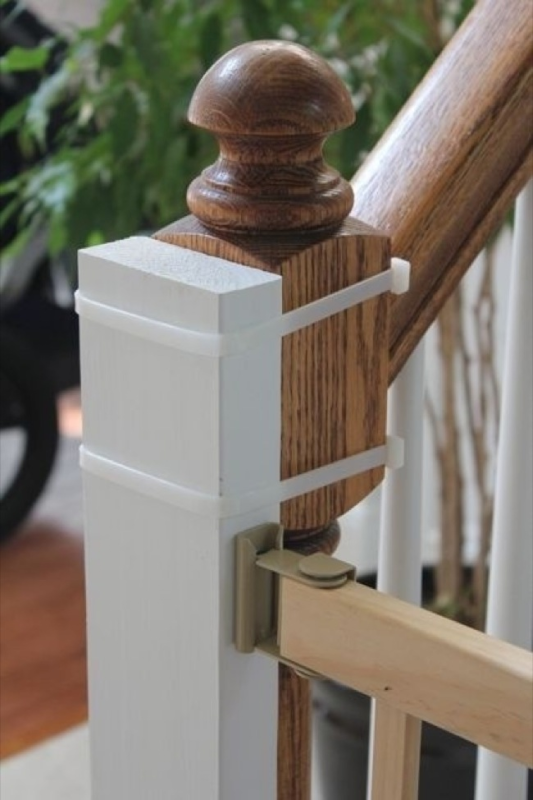 When you put up a fence on the stairs: fasten them rather than screwing them on so that the rails look just as nice as before. 28. 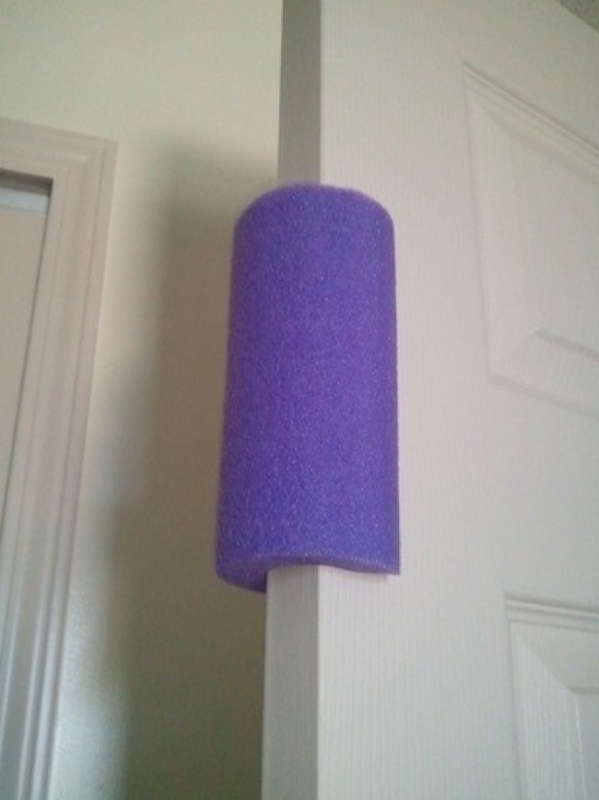 Pool noodles can be cut and stuck to a door. Then you can’t slam doors and crush fingers. 29. 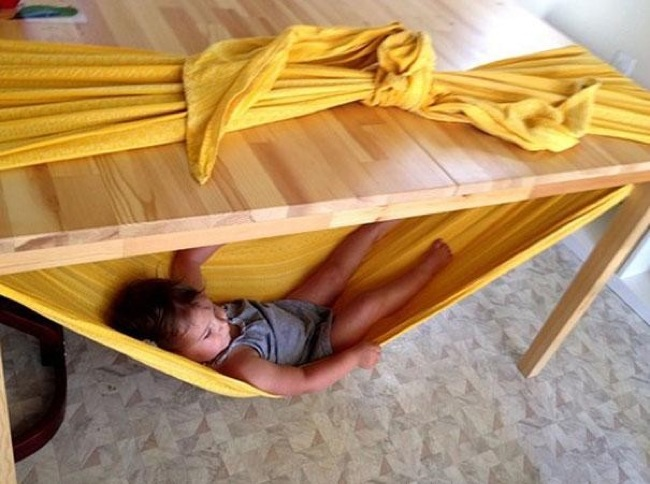 Use a stable bed sheet to tie a cool hammock underneath a table. Pirates, ahoy! 30. This pool noodle has a brilliant new function. 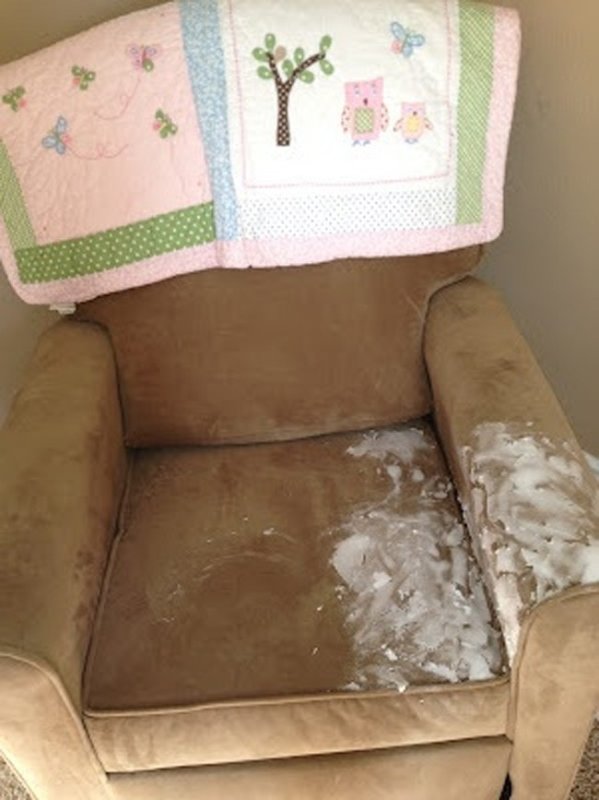 Under the bedspread, they keep kids from falling out of bed while asleep. It’s also soft so it isn’t bothersome. 31. This device is attached to the handles of a buggy. It rocks the buggy automatically! The pool noodle is really brilliant. 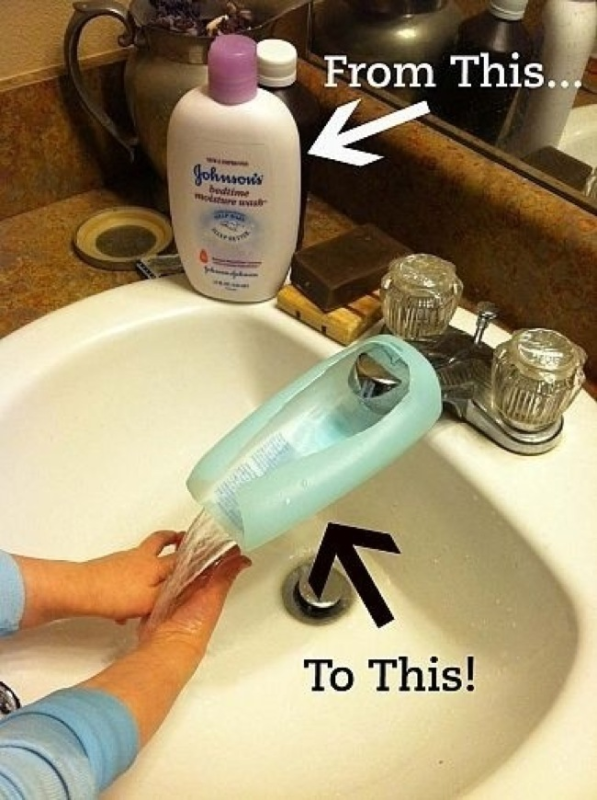 If my mom had known this trick during my childhood, it would have saved so many headaches. 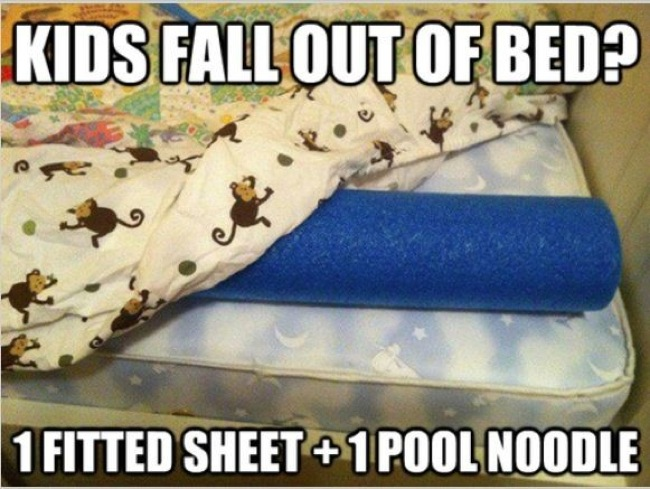 Share these brilliant tricks that will help so many parents!